Do you remember (Get Your Kicks on) Route 66, composed in 1946 by Bobby Troup and first recorded by the (Nat) King Cole Trio? Well, this Route 66 11 oz. 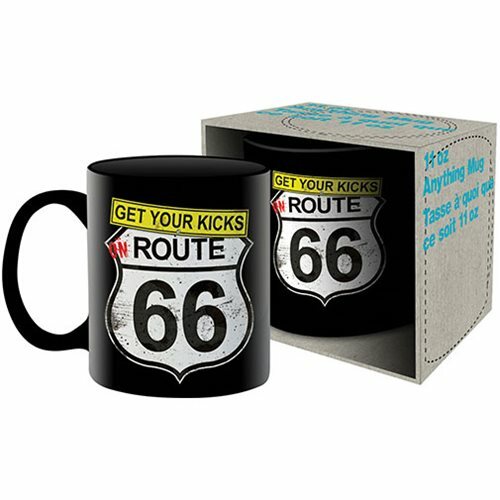 Mug pays tribute to that popular rhythm-and-blues standard and famous U.S. Route 66 that traversed the U.S. from Chicago to Los Angeles. Dishwasher and microwave safe, the mug comes packaged in a display box.